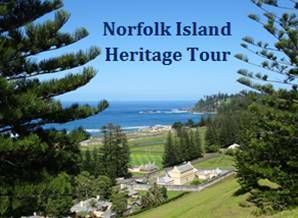 Join Elizabeth for a historic walking tour through the ruins of Norfolk Island’s gruesome penal settlement. Discover the historic town of Milton with Charlotte Seccombe, mistress of the Star Hotel of the 1860s on lantern-lit walking tour, as she tells you about the ghosts and eerie tales of Milton. Global Travel Insurance offers top-notch cover at affordable prices. Our policy lets you choose the level of cover you want, whether that is low cost Budget Cover or our Comprehensive World Wide cover. Our Convict past and historic treasures – in a modern world. Discover Sydney’s magnificent historical buildings and the Sydney Harbour Bridge. The island supports an abundant variety of wildlife including platypus, rare birds, spotted quolls and the Tasmanian devil. Tasmania also has a rich Indigenous history. Timeless and ageless, Tasmania’s Island Heritage is a disarmingly beautiful yet magically wild landscape. Dirk Hartog Island is Western Australia’s largest island and in October 2016, celebrates 400 as the site of the first recorded European landing on Australian soil. In addition to its history, Dirk Hartog Island offers a peaceful retreat for those seeking seclusion, beautiful scenery and private white sandy beaches perfect for snorkelling and fishing. Heritage Tourism present a vast range of Ghost tours and walks from across Australia, which can be booked online. Norfolk Island Seaview Hotel provide a personal and friendly service that compliments their relaxing atmosphere, within easy walking distance from Burnt Pine shopping centre and just a few minutes’ drive from beautiful Emily Bay and the Kingston historic area.